Three Canadian Sport School Victoria (CSS Victoria) student-athletes will need to be bringing home additional luggage to carry all the medals they won at this month’s 2018 Canadian Junior Track Championships in Milton, Ontario. Cyclists Sarah van Dam, Riley Pickrell and Casey Garrison won a spectacular 18 medals over the three days of competition: 13 Gold, 3 Silver and 2 Bronze. 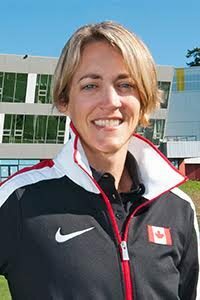 Van Dam won seven national titles in Junior Women while Pickrell took six titles in Junior Men, which included a Canadian record in the Team Sprint event. Competing in a combination of individual and team events, van Dam also finished with two Silver and one Bronze, Pickrell had one Silver and one Bronze and Casey Garrison had one Gold, one Silver and one Bronze medal. All three athletes are in grade 11 and all are in their second year at the Canadian Sport School Victoria, with each attending a different high school: van Dam attends Oak Bay High, Pickrell is at Claremont and Garrison is a student at Reynolds. With these results, both van Dam and Pickrell have hit the required standards to compete at the UCI Junior Track Cycling World Championships. Former CSS Victoria student-athlete Erin Attwell competed at this event in both 2016 and 2017, which will make 2018 the third consecutive year at least one student from Canadian Sport School Victoria has competed at the World Championships. The 2018 UCI Junior Track Cycling World Championships take place August 15-19 in Aigle, Switzerland. The Canadian Sport School is an important initiative of the Canadian Sport Institute, delivered in partnership with the PacificSport Centres. With campuses located in Victoria, Kelowna and Prince George this program provides athletic and academic support for secondary student athletes who are balancing their educational and high performance training demands. The Canadian Sport School helps to alleviate the pressures experienced by high performance secondary school athletes and ensure that our future Olympians and National Team members have all the skills and resources needed to continue to progress as high performance athletes, while excelling both on the playing field and in the classroom. Offering world-class Olympic and Paralympic training environments in Vancouver, Whistler and Victoria, CSI Pacific (www.csipacific.ca) is committed to Powering Performance. Inspiring Excellence. Working with national sport organizations and fueled by our national and provincial partners such as Sport Canada, viaSport, Own the Podium, Canadian Olympic Committee, Canadian Paralympic Committee and the Coaches Association of Canada, we are driven by our mantra to Collaborate. Serve. Innovate. Our team of sport scientists and medical experts provide leading edge programs and services to athletes and coaches to ensure they have every advantage to win medals for Canada.